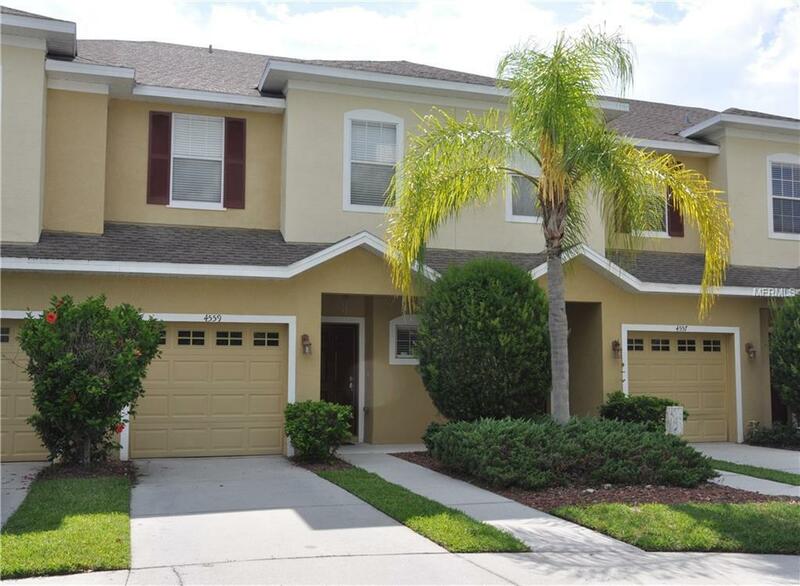 Gorgeous townhome in gated and quite community of Amberly Oaks. 3 bedrooms, 2.5 baths and 1 car garage. Ceramic tile and bamboo floors, This beautiful townhome features a nice kitchen with plenty space and is open to the family room. Large screened in lanai with views of well manicured yard. The master is very large room and features an extra large walk in closet. The master bath with dual sinks, a large walk in shower plus a garden tub! Full size washer and Dryer hook ups upstairs. This lovely townhome is convenient to Veterans expressway, shopping, dining, downtown, the airport and more. ** water, swear, ground maintenance and Basic Cable include on the HOA fee.